Microsoft has announced that it is dramatically expanding the availability of the Surface RT tablet, effective immediately. Neowin reports that the Surface RT tablets are already available at Best Buy’s site. “Our plan has been to expand the retail presence for Surface after the first of the year. Based on interest from retailers, we are giving them the option to carry Surface with Windows RT even earlier,” said Steve Schueler, corporate vice president, Microsoft Retail Sales and Marketing. 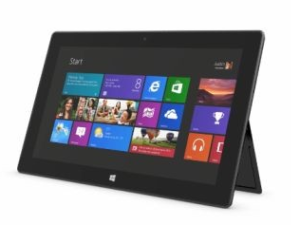 Microsoft’s Windows 8 and Surface tablets have met with lukewarm reception, at best. Surface RT sales have additionally been hampered by limited availability. Windows has already had its chance to get people’s attention with the Surface RT tablets, and it blew it. They came out with something that’s confusing, underpowered and not even competitive. And by doing this, they’ve created a brand that’s stigmatized. This stigma is going to be something that Microsoft will have to fight when it releases the Surface Pro tablets.